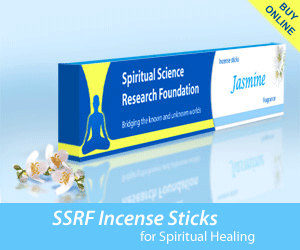 The Spiritual Science Research Foundation (SSRF) started its activities in January 2006. In its first year, the website attracted a modest 7000 visitors per month. However, as time passed, the website became increasingly popular attracting visitors from every country in the world. 11 years later, in the beginning of 2017, the SSRF website for the first time crossed the prestigious milestone of a million visitors per month. In the table below the top spiritual websites in the world have been listed. The websites on this list are considered spiritual websites as their scope is not limited to any organised religion in particular and they give more focus to spiritual growth and spiritual practice. When one looks more closely at the list of top spiritual websites, the million-visitor mark is even more impressive for SSRF. This is because many of the high-ranking websites on this list also cover various non-spiritual topics like physical sciences, technology, food, horoscopes, physical health etc. However, since they are also known mainly for their spiritual content, they are ranked in this list. If one filters out the websites that have content purely related to Spirituality and spiritual growth, then the SSRF website ranks in the top 5-6 websites in the world in terms of visitors per month! India has long been considered the spiritual capital of the world. The Spiritual Research Centre and Ashram, which is a hub for spiritual research for SSRF is also located in Goa, India. Comparing the SSRF website with other spiritual organisations in India shows that the SSRF website is ranked #2 or #3 in terms of traffic. This is even though it is one of the youngest organisations associated with Spirituality in India. The following is a list of estimated visitors to the websites of spiritual organisations in India. SSRF is non-profit organisation, run purely by seeker-volunteers and there is not one person paid for his or her services rendered to the website. Another amazing fact is that most of these volunteers do not have previous experience in specific fields required to run the SSRF website like translation, quality assurance, website management, graphic design, search engine optimization, social media etc. They have all learned such skills practically from other seekers. Also, SSRF does not make any money from advertising, nor does it spend funds received through donations to advertise the website. In contrast, many of the other top spiritual websites actively pursue advertising incomes, are profit based, have paid professionals on their team, business connections or volunteers with lot of business experience in the field of website maintenance and marketing. Despite this seeming disadvantage, SSRF has reached this very high ranking. Due to the grace of God and the grace of His Holiness Dr Athavale (the inspiration of SSRF), the unique knowledge published (which has been gained through advanced sixth sense) and the spiritual efforts of all volunteers, the website continues to grow steadily even though other spiritual websites have many more resources. The SSRF website team looks forward to the continued growth of the website, and continuing our service for the benefit of all spiritual seekers and people around the world. Dear Suhas, We agree. With correct spiritual practice, the spiritual energy starts flowing through the central channel, and seeker experiences more and more communion with God. In case you would like to know more about the spiritual level and spiritual growth these article on SSRF Website are very helpful. If we look at the content of the articles of this website, 80-90% will talk about negative energies, ghosts , hell etc. I don’t see any positive energy in reading any of the articles. At the end you leave the website in confusion and depression. Except chanting, why they are not many articles about GOD , glories and happiness which drives people toward positive energy? Dear Siva, We agree that SSRF Website has made available their extensive research on the negative aspect of subtle dimension and it is purely from the point of making the mankind aware as to how much it can affect our lives and that there are spiritual solutions which we can apply to protect us and grow spiritually. There are also other sections on Spiritual Practice and Spiritual living which have quite a few articles that talk about all positive aspects of spirituality. Here are the links to the Landing pages where you will find many articles. Apakah hal ini salah satu sebab kenegatifan perbuatan yang dawali oleh kemampuan sesorang tidak memahami arti kepentingan dan kebaikan umat secara universal?….menurutku agama membibmbing tindakan Roh dan Jasmani kearah yang diperintahkan adalah perbuatan yang baik dan positip, itu adalah prinsip, tapi kenapa yang terjadi si pemeluknya yang membuat perbedaan dianggap sebagai hambatan dan mungkin malah memjadikan penyimpangan persepsi yang di sengaja pembelokan kebaikan dan kebenaran, sehingga menjadi rasa dendam pribadi yang menimbulkan rasa negatip dan pesimis. Menurutku kesimpulan ini salah dan kesalahan tersebut dibuat dan kendalikan oleh manusia itu sendiri terlepas dari kodrat dan takdir. Harapan saya dengan adanya situs ini bisa memberikan atau mediasi persatuan umat dari berbgai kelompok atau perbedaan akidah menuju satu simpul menuju spiritual terhadap Sang Pencipta alam semesta ini. I always enjoy visiting popular spiritual good energy websites like yours. Nice spiritual site,I wish SSRF to prosper. awesome websites . Greate information. In Era Satjajuga,SSRF will be the most popular spiritual site.